Shuck the corn. 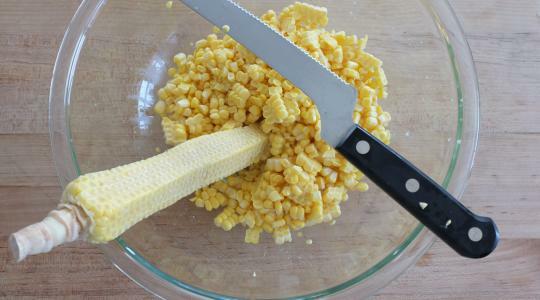 Holding each ear upright over a large bowl, use a serrated knife to shave off the kernels. 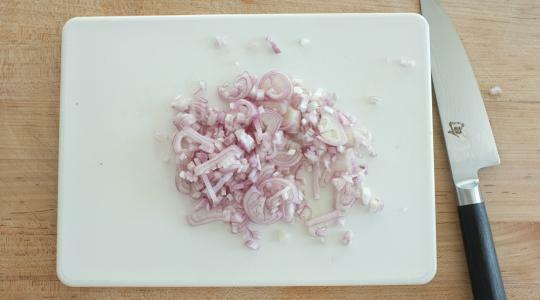 Chop the shallots. 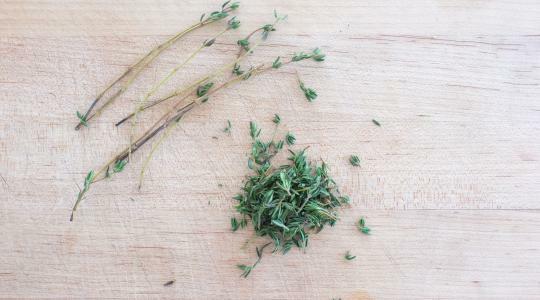 Pull the thyme leaves from their stems. In a medium skillet, heat 1 tablespoon of the oil over medium-high heat. Add the shallots and cook, stirring, until tender, 3 to 4 minutes. 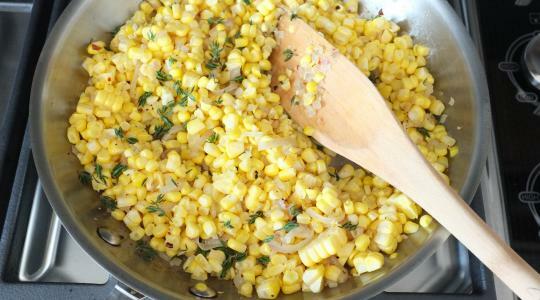 Add the corn, thyme, ½ teaspoon of the salt, ¼ teaspoon of the pepper, and the crushed red pepper, and cook, stirring, until heated through and tender, 2 to 3 minutes. 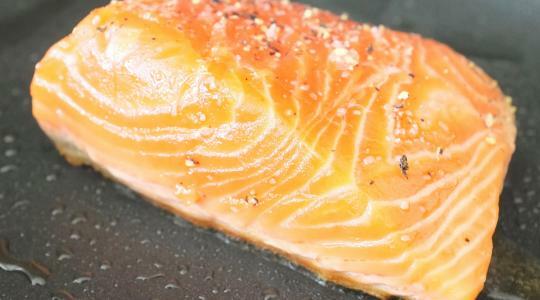 Slide the skillet aside until the salmon is ready. Season the salmon pieces with the remaining ⅛ teaspoon salt and ⅛ teaspoon pepper. 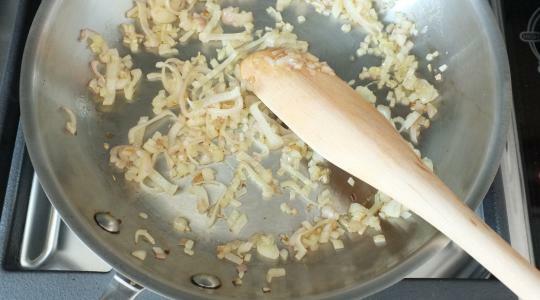 In a medium nonstick skillet, heat the remaining 1 tablespoon oil over medium-high heat. Add the salmon skin-side down and cook until the undersides are golden brown, 4 to 6 minutes. Flip the salmon and cook to desired doneness – 3 to 5 minutes for medium. Reheat the corn mixture and stir in the butter until melted. 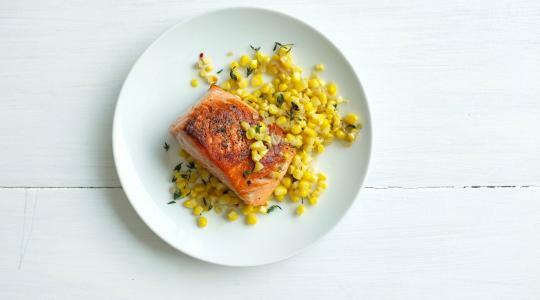 Serve with the salmon.